Many people think of Twitter as just some broadcasting SMS service that lets other people follow you and otherwise engage in short impersonal conversation. Few give Twitter much concern in the same way they might Facebook, for example, and it makes sense not to. I’m extremely annoyed by the increase in tech companies dumbing down their privacy policies over time to make them “easier to understand.” The results I’ve seen so far with Facebook and Google are more ambiguous, less transparent, and more questionable policies. With all of that said, if you want to remove your Twitter account, it’s going to take about a month. 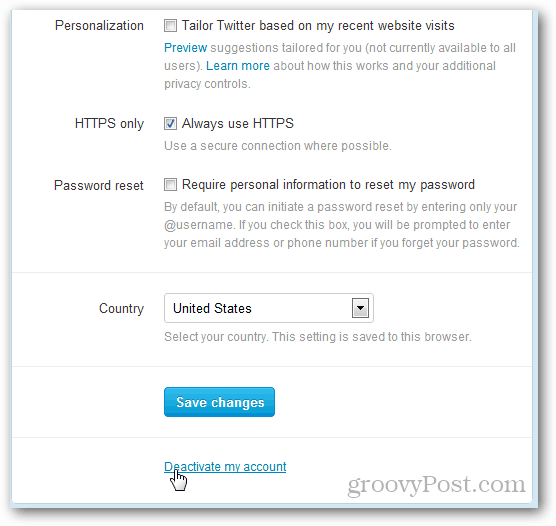 Login to your Twitter account and click the Profile >> Settings button. You’ll be asked if you’re sure you want to deactivate. But it’s not like it matters anyway. All it takes to undo this process is logging back into your account. And when doing so you aren’t notified that you’ve canceled your deactivation. It just pops right back up, right as rain, like nothing ever happened. If your registered email account doesn’t have strict spam filters, you might see an account reactivation email, but that’s it. 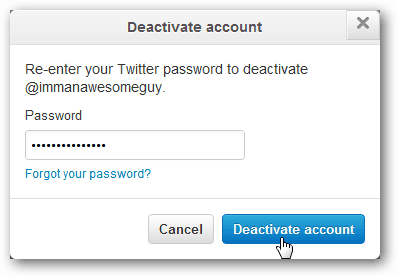 Deactivation is required to delete your Twitter account. And the account will only be deleted after 30 straight days without any use whatsoever. But as before, this is going to take a while, so click that button and get started now. Just in case the previous screen wasn’t enough to make sure this isn’t want you want to do, Twitter will ask you to re-enter your password and push another blue confirmation button. With that done, your Twitter account should be deactivated… For now. I know I might sound a little harsh on Twitter. But for good reason. A 30 day deactivation policy before an automated delete is a little bit ridiculous. If at anytime in this 30 days you accidentally log into your account, you have to start the process all over again. Sound familiar? Facebook has a similar policy, except it only has a two-week grace period to avoid. So what gives with the 30-day policy Twitter? Why can’t I just delete my account right now! Since it’s going to take a month of avoiding logging in. You might need to go through all of your services and apps that integrate with Twitter and make sure that you disconnect them from your account. The same goes for web browsers that automatically log you in when you visit Twitter.com. Everything needs to go, or you might find you’ve accidentally reactivated your account. I don’t think we should be shocked that any FREE service is going to be farming and storing data around usage, relationships and other data we might pump through the service. Nothing is free and everyone needs to make money — including companies that provide these free services. Ad revenue is just 1 say and data aggregation is the other. Can blame them, I think people just need to be aware of it. Good article Austin. I’m not going to nuke my account but it’s all good to know. I have been trying for a year to “deactivate” my account. 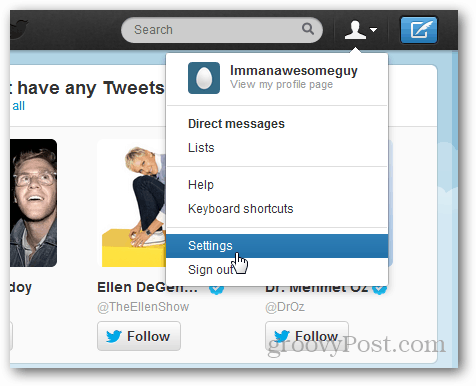 I have followed the steps outlined per Twitter. I have received confirmation that account will be deleted in 30 days. HOWEVER, within 7 days I receive notices from Twitter that account has been reactivated. This has been going on for almost a year…round and round. Any and all contact information to Twitter does not work (at least what I have found). So I am not sure what to make of the procedure that Twitter has. For me, it does not work. I’m having the same problem as theo. I keep deactivating and someone must be hacking it and reactiveating, it’s happened a couple of times now! I haven’t even used this count in years and even then only tweeted like three times. One Problem: THIS DOES NOT WORK!!! I have “permanently” deleted my account 3 times in the last 95 days. It’s still active!!! My Twitter accounts either do not deactivate bc my phone is logged in and I deactivate from my computer or deactivate early … after only a week of inactivity… maybe they know I will never come back LOL anti-social media u gotta love it NOT! I want to find my interests,like places or things,on twiitter,i know you can do this the first time,however I deleted account and then tried sign up again latter.Now I cant find it.This feature is when you sign up.